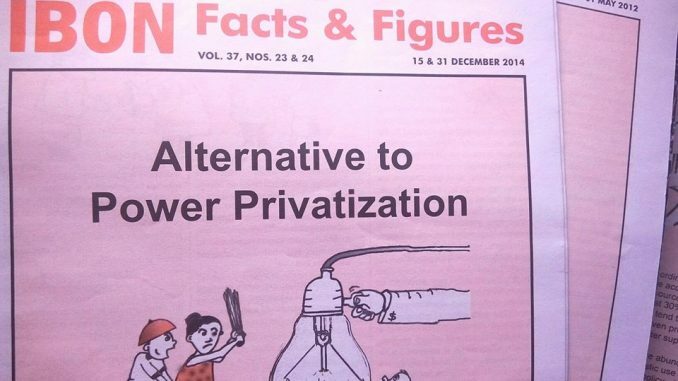 When President Rodrigo Roa Duterte ascended into power in June 2016, the Filipino people including church people are hopeful that the best will come out his bad mouth. Even when his speaking demeanor irked some church leaders and lay people, his promises of changing a decadent society move the church people to wait for the best. In his early months in power, he was already lashing out criticisms against the Roman Catholic Church out of his sad experiences when he was young. President Duterte proclaimed the Church has no moral ascendancy to talk about the social issues in our society because it failed to resolve the sexual abuses involving Roman Catholic priests. These abuses Duterte said he knew of are used by Duterte to continually attack the Roman Catholic Church. 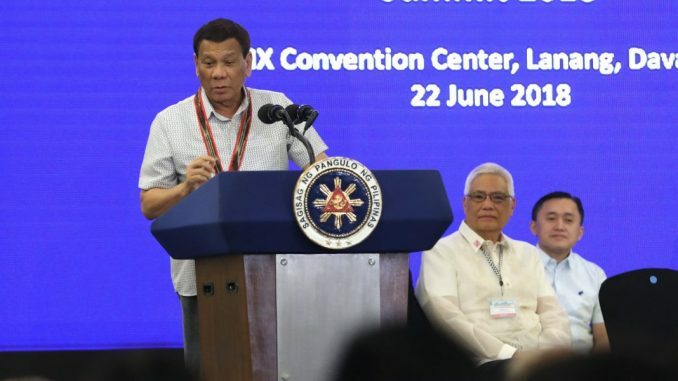 While words were thrown out in his usual candor, excused at times by his spokesperson as taken out of context, his Communications Office as a joke or his usual behavior or his daughter as speaking out of things he knew best, his dogs in the AFP and PNP harass and persecute church people of the Philippine churches. As minister of God’s people, I believe that President Duterte’s attacks to the Roman Catholic Church, the Iglesia Filipina Independiente (IFI), the United Methodist Church, the United Church of Christ in the Philippines and religious missionaries like Sr. Patricia Fox are systematic, planned and calculated acts of persecution against the churches in the Philippines. This is to bully them to silence in light of ever-increasing human rights violations, especially extrajudicial killings in his war against drugs Oplan Tokhang. Furthermore, President Duterte attacks the churches because he can find opposition among church leaders and church people on anti-poor policies and tyrannical moves for him to perpetuate in power. It is a reality in this country that church leaders and church people have committed to support the people’s struggle for justice and lasting peace. President Duterte knew that churches are his formidable foes as he continues to implement the Oplan Kapayapaan, Oplan Tokhang and Oplan Galugad-Tambay. Strong reaction against the Duterte administration was voiced out by the Roman Catholic Archbishop of Lingayen-Dagupan, Most Rev. Socrates Villegas, about sadness, pain, anger and frustration over killings and persecution against church people. The Roman Catholic Church lost an activist priest in Fr. Marcelito “Tito” Paez of the Diocese of San Jose, Nueva Ecija, an anti-mining advocate in Fr. Mark Ventura of the Diocese of Tuguegarao and Roman Catholic faith defender Fr. Richmond Nilo, a priest of the Roman Catholic Church in the Diocese of Cabanatuan assigned in Zaragoza, Nueva Ecija. The killing of priests is a gruesome example of growing church people’s persecution. Members of the IFI were publicly murdered because of their advocacy for social justice and environment. Taken from us were Bro. Meliton Catampongan [Surigao del Norte] and Bro. Erning Aykid [Mindoro]. IFI Bishop Carlo Morales [Ozamis] was incarcerated in prison for almost a year for trumped-up charges because of his engagement with the peace process. Four IFI Priests of the Diocese of Laoag, Fr. Randy Manicap and Fr. Arvin Mangrubang, among others, were subjected to surveillance and received death threats from agents suspected to belong to state security forces. The two are environmental activists and members of the People’s Solidarity Against Large Scale Mining in Ilocos Norte (PSALM-IN) and members of the Council of Leaders of Ilocos Network for Environment (DEFEND-Ilocos). A priest in the IFI Diocese of Santiago was also subjected of harassment. An IFI priest in Batangas has been also monitored as the parish church he is serving is being watch through a CCTV camera operated by the local government unit. Another bishop from the north was also visited by the chief of police of his town, looking for him and asking his routine, and leaving soon after he was asked what was his purpose of wanting to see the bishop about. The whole clergy from a diocese in Central Luzon were subjected to emotional and psychological torture when they were chased upon and tailed by unidentified men riding in one vehicle and two motorcycles bearing no plate numbers for four long hours along the national highway after their Holy Week Retreat this year. Two IFI parish priests in the diocese in National Capital Region have regular worshipers clothed in full combat gear with long, high powered arms for many Sundays now. On July 4, 2018, two voluntary staff of the Visayas-Mindanao Regional Office for Development-Iglesia Filipina Independiente (VIMROD-IFI) were arrested by police operatives together with eleven other persons while having their consultation meeting with local partners in Mother Francisca Spirituality Center in General Santos City. VIMROD-IFI is a development program of the Church that works for genuine development focusing on depressed and deprived communities in Visayas and Mindanao since the early 1980’s. VIMROD-IFI works closely with farmers, peasants, indigenous people, women and youth in educating, organizing, and mobilizing communities to attain their full potential in the stark absence of government’s basic social services. The assault against Sister Patricia Fox, who is an Australian religious missionary and the regional superior of Our Lady of Sion Sisters in the Philippines, is the most recent blow against church workers and religious institutions. Recently, the Bureau of Immigration ordered her deportation. For the past 27 years, she has immersed herself in the arms of the toiling Filipino masses and worked hand-in-hand with farmers, supporting them through her prayers and selfless service their struggle for land and life. Tawanda Chandiwana, a citizen of Zimbabwe, was arrested and detained on May 9 in Davao City, and transferred to the BIWF Bicutan detention center, Taguig City Manila, on June 4. He was initially charged with overstaying his missionary visa, although he was attempting to change his status to a tourist visa since he was nearing the end of his mission service in the Philippines. The charge was expanded when his name was found on a “watch list” of alleged subversives. He denies any wrongdoing and faults a delay in filing visa paperwork. Miracle Osman, a citizen of Malawi, was in the process of renewing her missionary visa when her passport was confiscated by government officials. The lack of a passport makes it impossible for her to voluntarily leave the country. She has requested a return of her passport, which is the property of the Republic of Malawi. Adam Shaw, a citizen of the United States, has been informed that an order to leave is imminent, but it has not been served. Chandiwana and Osman are part of the Global Mission Fellows program of our mission agency, the General Board of Global Ministries. Global Mission Fellows are young adults from around the world who give 20 months of mission service in countries different from their own. The program’s placements are coordinated with the church in the host country, in this case The United Methodist Church in the Philippines, which is an organic part of our international denomination, represented by three episcopal areas, Manila, Davao and Baguio. The Haran Mission Center of the United Church of Christ in the Philippines (UCCP) has sheltered around 700 Lumads or indigenous people who have sought sanctuary there was also subjected to harassment. The lumads have been displaced from their communities in Talaingod, Davao del Norte, because of heavy militarization. This center was subjected to harassment since February 2016. The Lumads received threats that their temporary dwellings in Haran will be burned down. 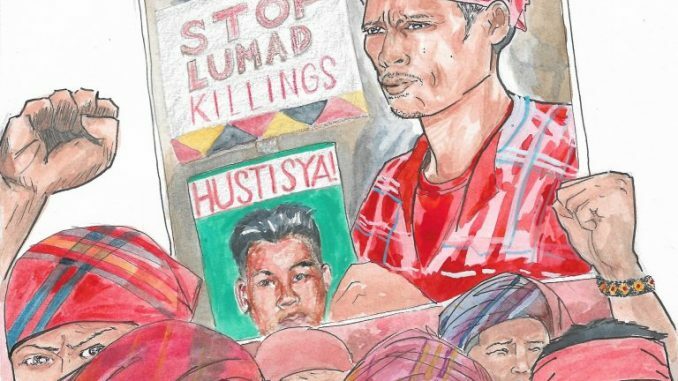 The threats were executed in February 2016, and some Lumads have been harmed. The death threats, harassment, intimidation, illegal arrests and detentions, and trumped-up charges are acts which the state only has the power and authority to do so. These acts violate the basic human rights of our lay and ordained leaders in particular, and of the people in general if these are likewise applied against them. These acts constitute acts of persecutions against church people and are deliberate attempt to silent the clergy and lay people who are involved in empowering communities and defending the country’s patrimony. The Duterte regime is accountable for the many cases, documented or otherwise, on the persecution of church people. However, church leaders and church people will not be cowed because their God not a “stupid god” as President Duterte claimed. The God of persecuted Christians, clergy and lay people, is the God of the poor and the oppressed, the Liberator God. Therefore, vigilance and resistance are the counter-persecution actions. The post Two years of Church persecution appeared first on Manila Today.